Episode 249: ControlTalk NOW — Smart Buildings Videocast and PodCast for week ending Dec 24, 2017 features two uniquely insightful interviews with Nicole Conklin, Cochrane Supply’s Product Manager, and channel thought leader, Rauline Ochs, from The Channel Company. 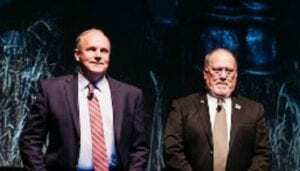 Also, Troy Meachum of ACR Supply, steps in as 2018 HARDI President; Watch Simon Sinek’s Best Speech Ever on Millennials; and view three top 2017 ControlTrends Most Impactful Marketing video entries from Belimo, Siemens, and Distech Controls. 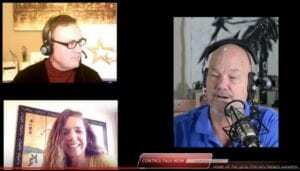 Episode 249 ControlTalk Now The Smart Buildings V Cast from Eric Stromquist on Vimeo. 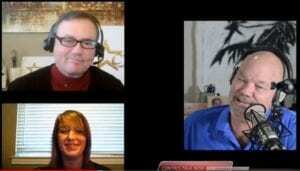 ControlTalk NOW first guest interview is with Cochrane Supply and Engineering’s Product Manager, Nicole Conklin. Nicole shares her early experiences in the HVACR and Building Automation industries, and her rise through the ranks within one of the most progressive and successful distributors in North America. Nicole is excited about Cochrane’s new notification APP, Raven, scheduled foe launch early in 2018. Millennials Demystified: How They Can Save Smart Building Controls. As the “gray hairs” in the Smart Buildings Controls Industry begin to retire, we need to attract and keep younger people if our Industry is going to grow. 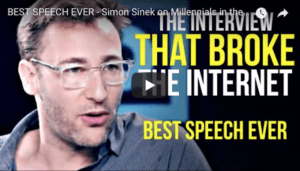 That means we are going to have to understand that the next group coming into Smart Building Controls, the “millennials,” are not wired the way we are. The irony is that they are a creation of our our making, and are motivated and inspired by different things than their baby boomer parents and grand parents. ControlTalk NOW second guest interview is with he Channel Company consultant, Rauline Ochs, a high-performance sales and marketing executive with deep expertise in channel and alliances industry research, client consulting and training curricula across IT, carrier service provider and operational technology vendors doing cloud and IoT business in the indirect channel, as well as facilitating The Channel Company’s IoT Advisory Board. With vast channel experience, Rauline helps to write the road map and the playbook when aof channel hits an inflection point and how to drive ROI, capture budgets, and sell to the new set decision-makers. Visit The Channel Company to view upcoming events! Belimo’s Entry into The ControlTrends Awards Most Impactful Marketing Collateral (Video, Product Rollout, etc…) of the Year. Congratulations to the marketing team at Belimo for this outstanding video entry into the ControlTrends Awards Most Impactful Marketing Collateral (Video, Product Rollout, etc…) of the Year As you can see, not only is this a very informative video about a very cool, newer product from Belimo, but it also has a wonderful emotional aspect to the story. Well done Belimo! If you like this video be sure to click here and vote. 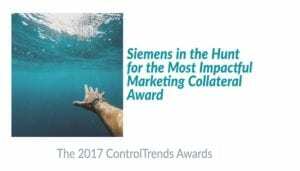 Siemens Video Finalist Video for The ControlTrends Most Impactful Marketing Collateral of the Year Award. Here is another great entry into the ControlTrends Most Impactful Marketing Collateral of the Year Award , from the stellar marketing team at Siemens.. Their video entry “Siemens Ingenuity for Life Creates Perfect Places“, is another great example of the marketing talent in the Smart Buildings and HVAC controls Industry. Watch the video, and be sure to vote. 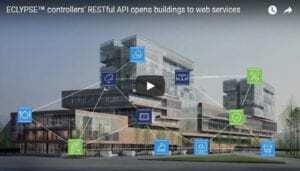 Distech Controls ECLYPSE™ Controllers’ RESTful API Opens Buildings to Web Services. Distech Controls 2017 ControlTrends Awards Most Impactful Marketing Collateral of the Year entry: ECLYPSE™ Controllers’ RESTful API Opens Buildings to Web Services, tells a great story on how to design an intelligent and eco-friendly building, while at the same time improving the occupants’ quality of life and anticipate their needs, and controlling your operating costs and promoting your real estate. Watch the video, and be sure to vote.